Dawn Mitschele has released five solo albums, and her playfully seductive vocal performances have made her an in-demand featured vocalist among So Cal recording artists including Bushwalla, Lee Coulter and 9 Theory. Dawn Mitschele's compelling voice grows into more expansive territory with her new project Cardinal Moon. The gifted singer-songwriter has joined forces with lyricist Alfred Howard and the accomplished musicians of The Redwoods Music label to amplify the intimacy of her solo work with picturesque tunes that range from bouncy blue eyed pop songs to immersive Southwestern ballads. Howard sent Mitschele lyrics from the window seat of a greyhound bus moving through the western US, challenging her to bring the words to life with her inflective vocal style. The collaboration inspired both artists to create tactile compositions imbued with a sense of time and place, invoking scenes of Americana wrought with emotion and reflection. 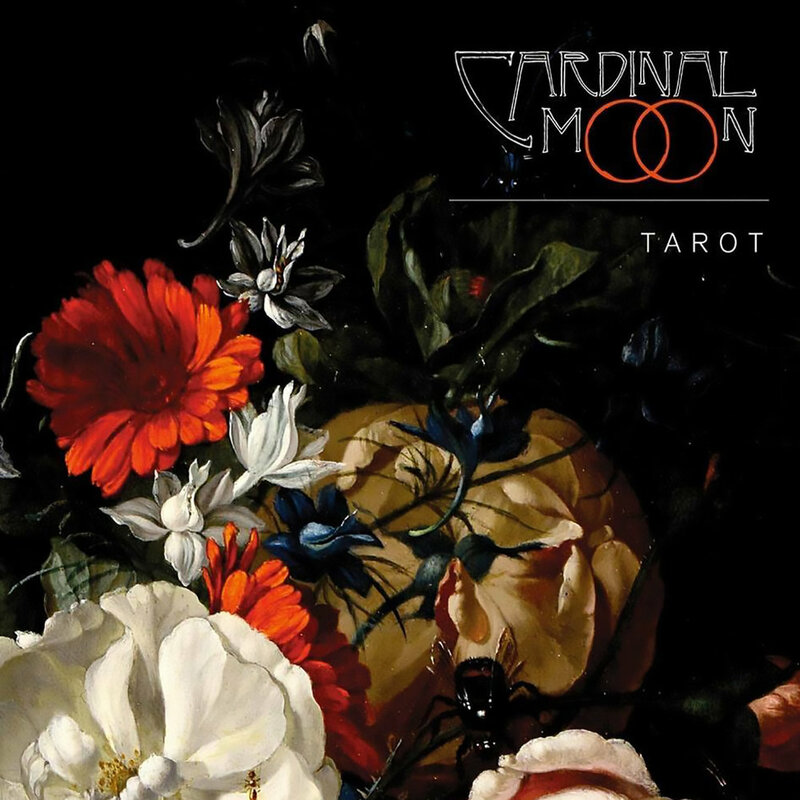 Lines composed on a cross country Greyhound provided a foundation for the vivid collection of songs comprising Tarot, the debut record from Cardinal Moon. Inspired by fellow passengers and passing landscapes during a long bus ride to Chicago, lyricist Alfred Howard messaged a song idea to singer-songwriter Dawn Mitschele, inviting her to put it to music. Mitschele responded, and the two continued trading music and lyrics via cell phone as Howard rolled through western states, and by time he'd returned to California they'd amassed a nuanced collection of songs ready to take into the studio. While that first acoustic recording, Looking Back, captures some of the hushed immediacy of Mitchele's solo work, most of the tracks on Tarot are fully fleshed out indie pop songs. Howard's frequent collaborators at The Redwoods Music record label stepped in to craft a fully realized musical accompaniment to Mitschele's expressive vocals and Howard's evocative musings on time, places, and people left behind. The music of Tarot takes cinematic turns throughout, with graceful nods to Swedish pop, old country-rock ballads and blue eyed soul. The record's effervescent opener, Tarot I, finds Mitschele's sweet croon gliding smoothly over bouncy basslines and hand claps. From there the moody, Southwestern-tinged Ashley River Road segues into the resonating Amarillo, a melancholy ode to Texas propelled to rousing heights via the emotive timbre of Mitschele's voice. Tunes like Let Go and Further invoke memories of early Ronstadt and mid-70s Fleetwood Mac, respectively, before the album rounds back to a reprisal of the opener, Tarot II, stripping the tune back to where the project started, with the intimacy of a lone fingerpicked acoustic, and road-weary ruminations brought to life by Mitschele's indelible voice.